Biblically speaking, as this particular Filipino is most known for, Bro. 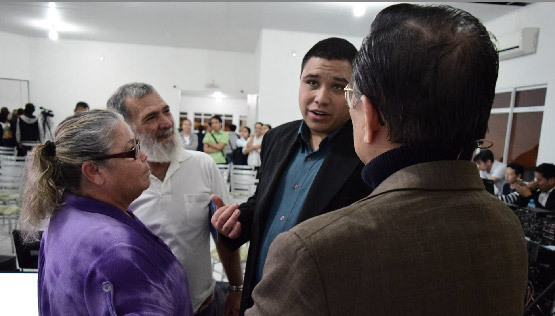 Eliseo F. Soriano has reached the average life expectancy limit of people in the Scriptures. But being as he is, with the fervent desire to preach the words of God since he learned of it during his teen years, age never was a hindrance. And neither was sickness. Diagnosed with emphysema and congenital heart disease at an early age, Bro. Eli was born to face and conquer adversity. Now, Bro. Eli is more than 70 years old. And yet, he still manages to conduct more or less 10 Bible Expositions in four different languages a week; crossing states, countries, and time zones, be it physically or via satellite points or internet packets. Apart from that, he is also UNTV’s foremost public service partner, a cook, a grandfather, and the Overall Servant of the Members Church of God International or MCGI. That, or an equally involuntary, truthful, poignant one-liner: With God’s mercy. As the Lord continues to bless him with years, see the journey thus far of this preacher, philanthropist, broadcaster, Filipino who is and always will be, simply, Bro. Eli Soriano. 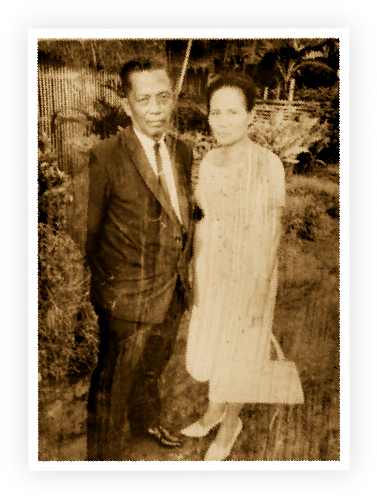 Two years after the second World War, Triunfo Soriano and Catalina Fernando had the seventh of their eight children. Bro. 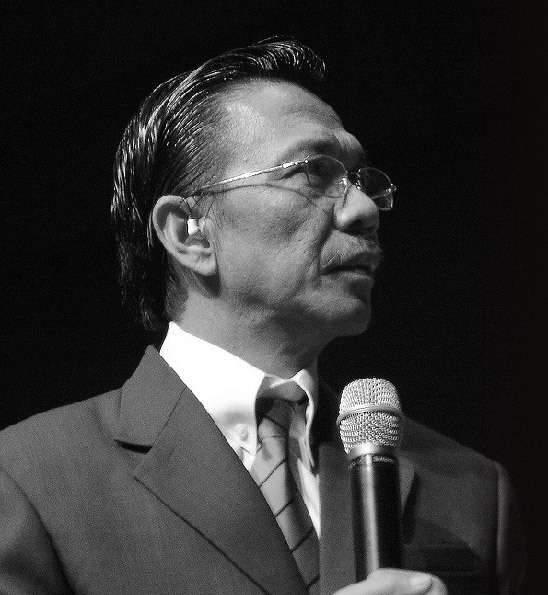 Eli was born Eliseo Fernando Soriano on April 4, 1947 in Pasay City, Metro Manila. Bro. Eli’s father worked as a foreman for an engineering company, while his mother took care of him and his siblings. Bro. Eli’s parents were already members of the Church of God by that time, being both baptized in 1934. Young Bro. Eli grew up a shy child and would go to his room whenever there were guests in their house. It’s no wonder then that he entered elementary school a year late, and even then, he would find clever ways to avoid class (e.g. sliding down a muddy slope on the way to school). That would all change come recognition day when he saw one of his classmates go up the stage with the kid’s parents putting a medal around his neck. Asking his parents about it, they told him that the medal was given to those who studied hard and got the highest grades. From not wanting to go to class to teaching it, Bro. Eli became an assistant and substitute teacher in school. He was also a consistent valedictorian and no-less than the president of the Student Council. Just a few weeks shy of graduating however, Bro. Eli found knowledge and wisdom unlike anything he has read from all his textbooks in class. He then stopped attending high school (though his grade point average with untaken quizzes and exams at the time qualified him for graduation) to learn a book whose words he had fallen in love with — the Bible. But as good love stories are, not everything was smooth at first. Somehow, the shy guy inside Bro. Eli still had a bit of hold on him; whenever his parents would invite him to go with them to Church gatherings, he would decline. At one particular time, his father didn’t take anymore no for an answer. So after a slap on the bottom with his father’s slipper, young Bro. Eli was able to join his parents in listening to God’s words. As he listened to the biblical topic, which incidentally, was about obeying one’s parents in the Lord, tears soon fell from his eyes. They were no longer tears of pain from being reprimanded however, but of repentance. Back at home, young Bro. Eli locked himself in his room at 4 o’clock in the afternoon — and began reading from the Book of Genesis onwards, until he had found the verse he heard earlier in the day. He found it in the New Testament at 4 a.m. of the next day. No dinner. No sleep. Days later (despite the Presiding Minister not wanting to baptize Bro. Eli yet as he was deemed too young then), Bro. Eli was born in the spirit on April 7, 1964, just three days after his 17th birthday in the flesh. Bro. Eli’s passion to learn more about God’s words only grew as time went by. 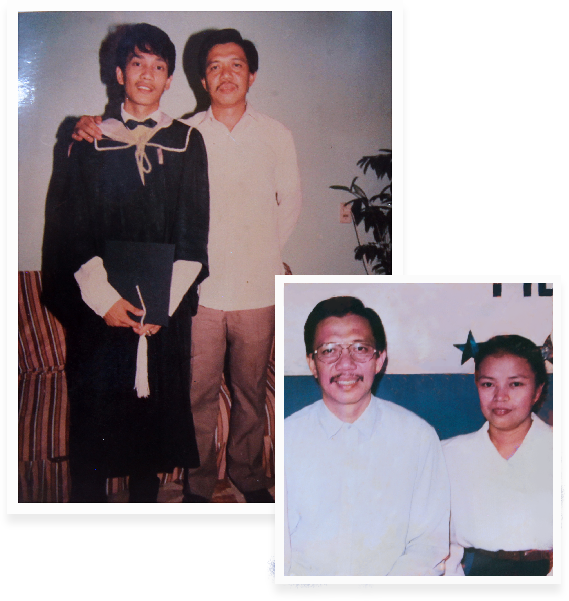 Not long after being baptized, he expressed his desire to become a Church worker, and soon attended ministerial classes under Bro. Nicolas Perez. As time passed by, Bro. Eli would prove to be a one-of-a-kind worker. Whichever locale he was assigned to, the brethren there would become more active and happier in their service to the Lord. He would become Bro. Perez’s transcriber in preparing topics to serve the brethren with. And later on, though unknown to the other workers and the brethren then, Bro. Perez trusted him to make the topics himself. Whenever there were debates against pastors of other religions, Bro. Eli was the choice of Bro. Perez amongst all. His fate would then bring him miles away from Pasay: Pampanga, north of Manila. There he would conduct Bible studies with a young Bro. 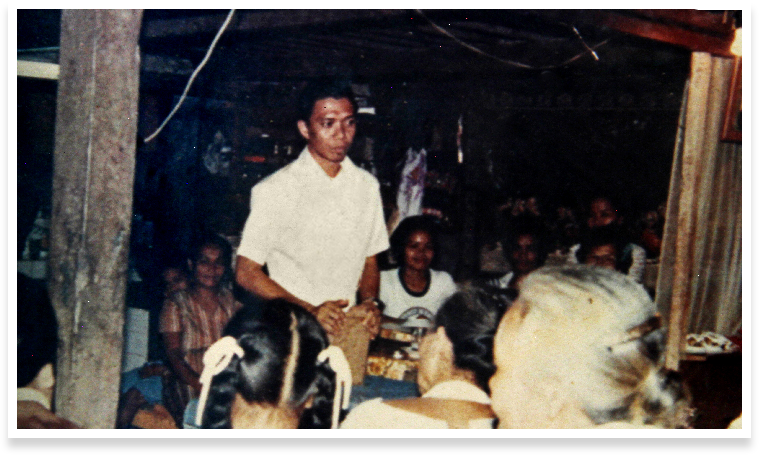 Daniel Razon — town after town through flooded rice fields and no-vehicle areas, countless nights of little or no sleep or food — which by the mercy of God, later resulted to the first locales in the region being established. Seeing the grace given unto him, Bro. Perez handed Bro. Eli in 1972 the only Church Minister title he would ever give to anyone before the former passed away in 1975. The death of Bro. Perez without him formally declaring a rightful successor brought about many problems, especially to Bro. Eli. The would-be leaders of their own future religions connived against him, which eventually led to the Church being divided into three. Despite his efforts to bring the group together and his reluctance to lead, he eventually heeded to the members’ and workers’ (including those who have been in the ministry for far longer a time than him) plea to watch over them. 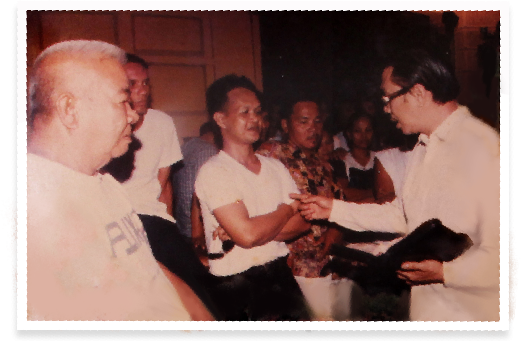 Thus, the Members Church of God the Pillar and Ground of the Truth was registered in the Philippine Securities and Exchange Commision (SEC) in 1980. Though Bro. Eli and the members faced adversity, another good thing would happen that same year. 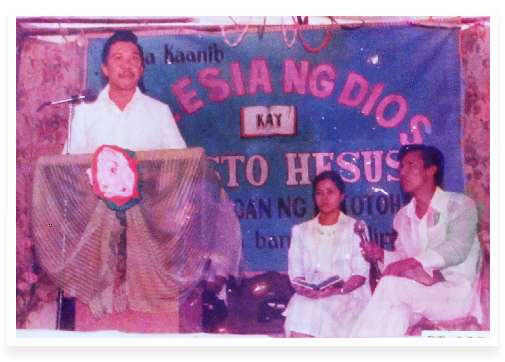 Preaching in Pampanga for 14 years and reaching only a number of towns, Bro. Eli saw that he would need a hundred years or more just to be able to cover the entire Philippines using traditional medium. 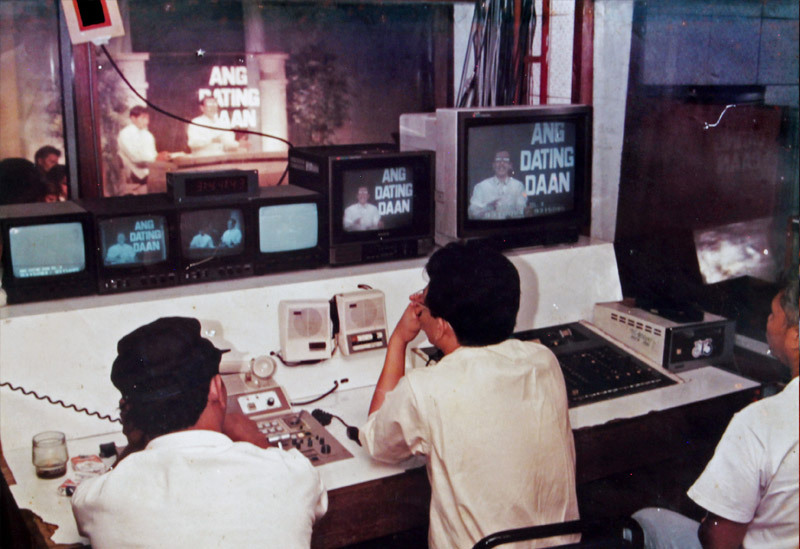 Thus, armed with no experience in broadcasting but with much confidence in the Lord, the Ang Dating Daan (The Old Path) program took off on DWWA 1206 kHz. Shortly afterwards, Don Manolo Favis, a host of his own show on DZBB, would take notice of Bro. Eli’s preaching and made him a regular panelist on “Dis is Manolo and His GENIUS Family” (GENIUS stood for God Eternal News In Universal Salvation). The show featured pastors and preachers from various religions to render their answers on questions and topics about life and the Bible. As voted by his fellow panelists and Don Manolo himself, Bro. Eli received the Most Outstanding Minister award year after year since he started there. As time passed by, Bro. Eli Soriano would become the sole resource person of the program — this, while Ang Dating Daan or ADD would also air on DWAR, DZME, DZMB, DWAD, DZRD, DWAN, DZXQ and in various local radio stations. 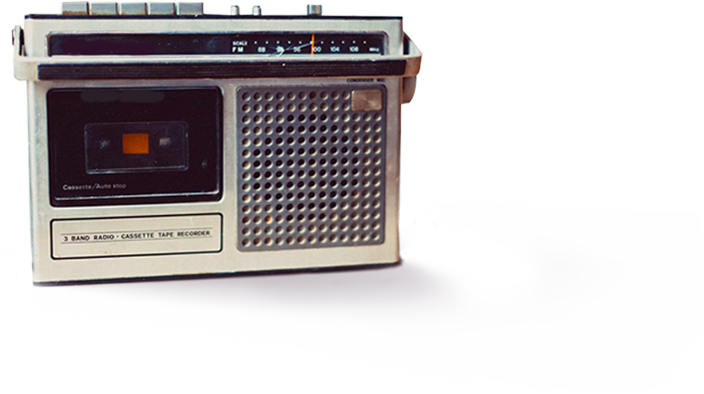 The program soon gained its steady following, what with hearing live questions of faith answered via the air waves — and three years after, it could also be seen. 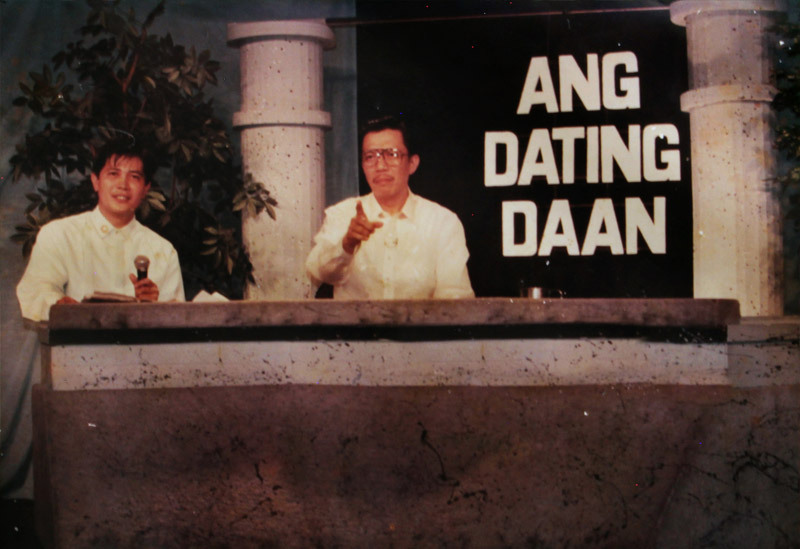 The Ang Dating Daan program debuted on IBC 13 in 1983, and quite miraculously at that. The full production team consisted of only three persons: Bro. Eli, the host (and cook); Bro. Daniel (who was still in high school then), the director, editor, and every other technical need; and Sis. Luz Cruz, the executive producer, researcher and makeup artist. Bro. Eli’s lumpia (spring rolls) and jeepneys for public use, Bro. Daniel’s earnings from selling vegetables in the market during his youth, and eventually, his salaries as a disc jockey and a broadcast journalist after college provided for the financial needs of the program. With such a setup, no sponsors, and a firm belief on not accepting any financial contribution from its non-members, how could the program survive one might ask? Going well into the 90s, it proved that it didn’t just survive. It flourished. 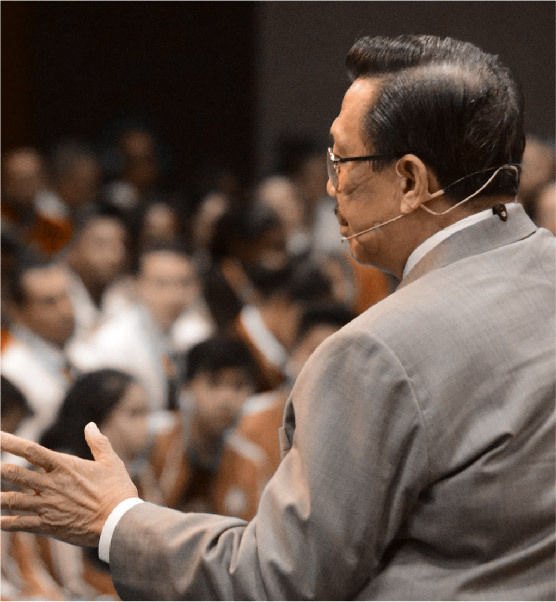 What would later further propel the Ang Dating Daan program began with an idea — or to be precise, a prayer. Bro. Daniel had a personal request from God, mainly, on being a small instrument in helping Bro. Eli bring the Gospel to a wider audience. 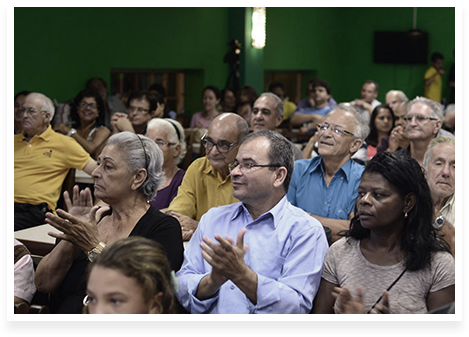 During a meeting with Church workers, he spoke of an idea of inviting family and friends to a small gathering with a segment wherein Bro. Eli could talk and they could ask him questions right there and then. That was to be the birth of The Bible Exposition. Bro. Eli became busier than ever. Apart from his broadcast schedules on radio and television, Bro. 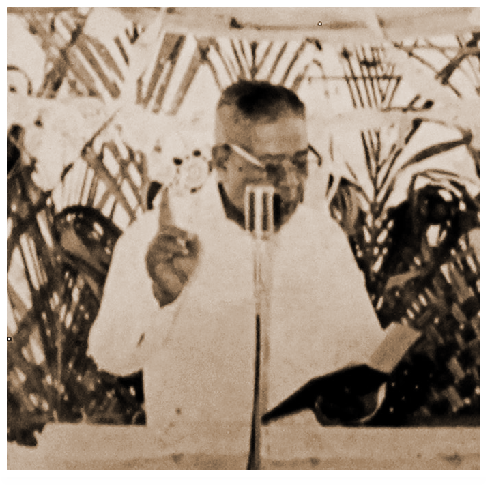 Soriano also held Bible Expositions in different locations across the country from covered basketball courts, to stadiums and coliseums. When the 2000s came and the Internet had opened a new kind of avenue to connect with people across the planet, Bro. Eli and Bro. 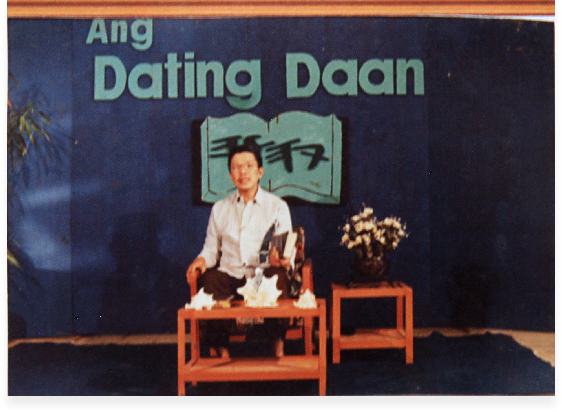 Daniel launched www.AngDatingDaan.org. Even back then, it featured a live video streaming service of The Old Path. The program and its Ask Bro. Eli. The Bible Will Answer format had become more popular than ever within and beyond the Philippine islands. 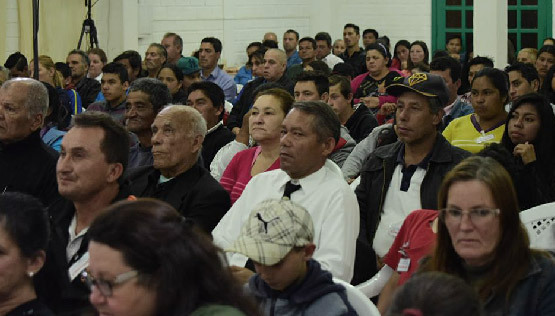 Members were being baptized in different countries. And so on January 13, 2004, the name of the Church was changed to a more fitting truth: the Members Church of God International or MCGI. The Old Path program, its host and staff also garnered accolades from various award-giving bodies. Not to mention, the different charities, such as Bible-giving and blood donation, that Bro. Eli and Bro. Daniel had been carrying out since the 90s. Of course, not everyone thought the same, for as with the most well-meaning of intentions and actions since time immemorial, they were not without controversy for others. For those who have listened to him preach even for just five minutes, the term is an unmistakable staple and signal that the statements following suit would be verses from the Bible. The only time there would be quotes from different texts would either be when referencing a scientific fact highlighting biblical truths or a certain religion’s beliefs and practices from their official books whenever answering a person’s inquiry. While sincere research and transparency may be satisfying to a person seeking truth, it doesn’t sound as sweet to pastors and church leaders, especially, after not being able to stand against the weight of truth in their debates with Bro. Eli. From such roots sprouted the series of seemingly unfortunate events that led Bro. Eli to leave the country for an indefinite return period and preach abroad. Probably born with a fear of heights, or rather, plunging from air-thinning levels, Bro. Eli wasn’t keen on flying. 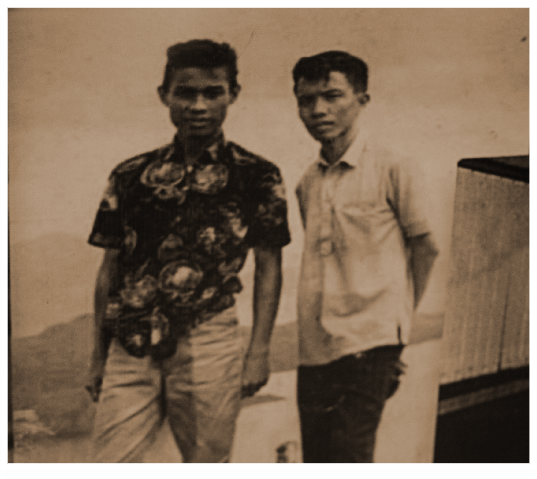 Unless the circumstances prevented so, he would often ride boats to go to Philippine provinces far from the outskirts of the Luzon Island. But his fate advised otherwise. Despite facing threats and difficulties brought about by religious persecution, Bro. 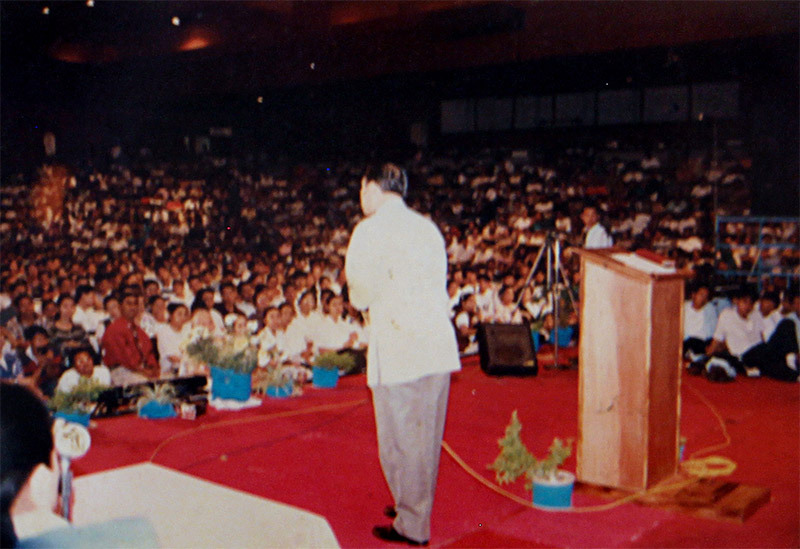 Eli’s preaching continued in the Philippines and in other parts of the globe via radio, TV and the World Wide Web. And yet, Bro. Eli still looked for ways on how he can preach more while being abroad. That is, apart from the Bible Expositions he held in countries like Singapore, London, and the USA. Just about three weeks after his 60th birthday, Bro. Eli published his first two blogs: “Dissecting the Worst Mass Murder in American History” and “Is There Another Earth?” at Esoriano.wordpress.com on April 26, 2007. The blog covered topics from love’s second chance to alternative cures for bodily ailments. Most importantly, Holy Scriptural advice for finding solutions to life’s questions and anything under or light years away from the sun, for that matter. 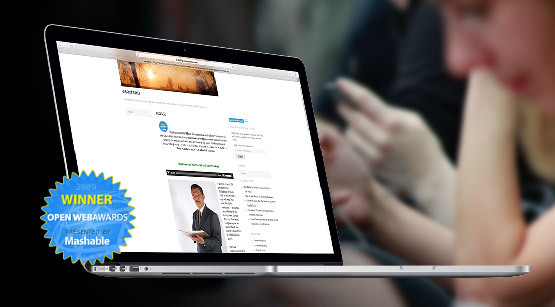 In 2009, Mashable hailed the blog as the Most Educational to Follow in its Open Web Awards. Bro. 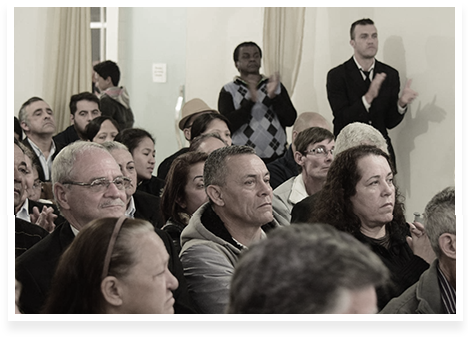 Eli realized that there were a lot of other people of different races and languages waiting to know more about the Good News he preaches. And he saw the scope of it all when he held a Bible Exposition for the very first time in a country distant, but similar to his own. Brazil, as a nation, is predominantly Catholic, much like the Philippines. At the time, Bro. Eli was following the admonition of the Lord in Matthew 10:23 about being persecuted, and kept in heart a prophecy in Jeremiah 51:45 of where God’s nation will be called from. With the help of a Portuguese interpreter he commissioned, Bro. 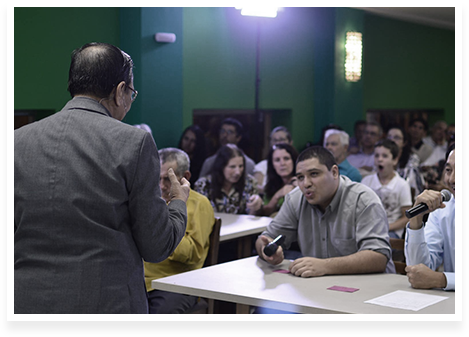 Eli put up a 30-minute program in Brazil, titled, O Caminho Antigo. Surprisingly, within just a month of airing, letters came pouring in asking where they could reach him. And thus, the birth of the first Bible Exposition there. Not knowing how many people were going to show up, Bro. Eli reserved a rather cozy venue. But as the event neared, the number of people who expressed interest in going — some even travelling for more than 10 hours just to be there — was so unprecedented that Bro. Eli had to make last-minute arrangements to find a bigger place for the event. As Bro. 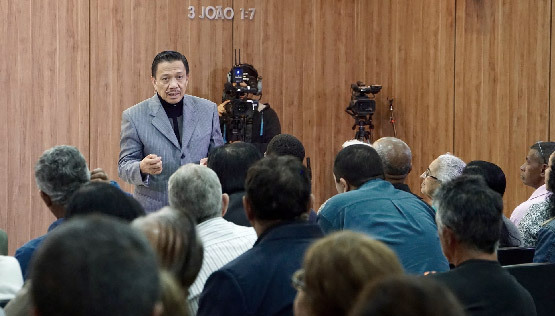 Eli preached, there were tears, and laughter, and testimonies of how almost incredible it was — that after 20 or 50 years of hearing different pastors in Brazil — it took someone from the East, a Filipino, for them to finally hear what they have been longing to hear. 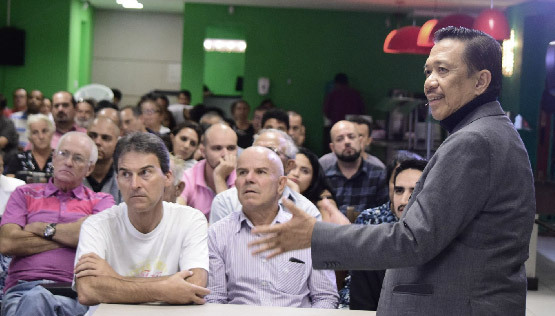 Now, there are over 400 hundred locales across Brazil alone, and hundreds more from nearby Spanish-speaking countries all the way up to Mexico. The Old Path program is now being broadcast 24/7 not in one, but four different satellite channels, even on Youtube and Facebook. It is now known as O Caminho Antigo, El Camino Antiguo, and by other names according to one’s language. Once amidst locals of his own land, he is now the foreigner in nations who have embraced the teachings he carries. Many things have changed over the years. And yet, despite the twists and turns of persecutions and hardships, days and nights of work and dedication, occurrences and recurrences of asthma and joint pains, Bro. Eli Soriano has remained the same with God’s mercy: A faithful man who just wants to share what he learned in the Bible and do good unto all. And so, Bro. Eli Soriano’s story continues. For how long or how far he still needs to go, one thing is certain — God’s mercy will bring him there. 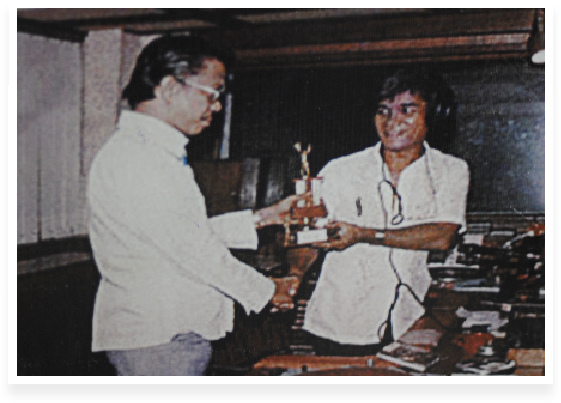 Awarded by Philippine Bible Society in recognition of his contribution to the Bible cause as a lifetime member, regular donor and major distribution partner. Awarded by Bureau of Jail Management and Penology for his persistent and untiring effort in sharing God’s precious words to the inmates of Cabanatuan District Jail whereby building God’s kingdom on earth. Awarded by United Group of Charities and Human Development in recognition of your meritorious and dedicated performances towards human upliftment, dedication to duty, and for your untiring support to community activities impressed with the seal of excellence and a resounding manifestation of integrity and high sense of honor. Awarded by Development of Filipino Youth, Inc. in full recognition of your excellence marked by integrity, industry, principle and collective leadership which established prestige of your personality to the highest level of public service as demonstrated by your record thru your profession; a top leader of strength, courage and dignity of the era. Awarded by International Research and Communication Center, Inc. in full recognition of your meritorious and outstanding services rendered to human upliftment benefiting your fellowmen; devotion to duties coupled with hard work and honesty impressed with the seal of excellence, high sense of honor and resounding manifestation of integrity. Awarded by Philippines Outreach Youth Self-Help Project, Inc. 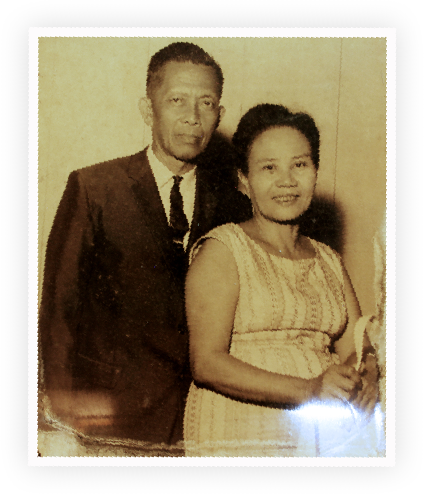 Awarded by Development of Filipino Youth, Inc. for his untiring guidance and teaching to his Ministry by which he is being loved and respected: through his words and having had immeasurable love for everyone and a dedicated, servant of God. Awarded by Philippine Experimental Educational Research Society dahil sa kanyang katangi-tanging pagtupad ng kanyang tungkulin bilang tagapangaral at lingkod ng Diyos. isa siyang huwarang panauhin ng ating lipunan. 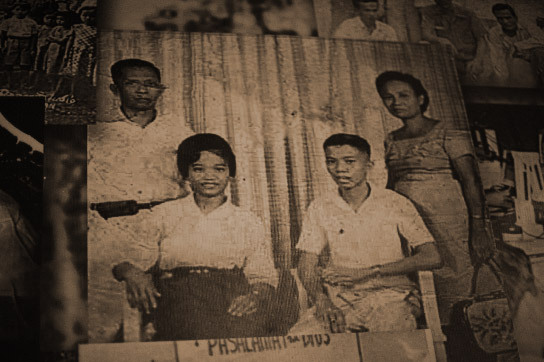 Awarded by National Biographic and Historical Research dahil sa kanyang makatotohanang pagpapalaganap at pagpapahayag ng mga salita ng Diyos na siyang naging kasangkapan upang maunawaan at lubos na makilala ang Panginoong Diyos, isa siyang tunay na sugo ng ating Panginoon. Awarded by Concerned Media, Inc. in full recognition of your exemplary leadership sealed with honesty industry and dignity which have established your personality among peer and to the highest of ministerial services. A model Filipino in this Centennial Administration. Awarded by Province of Pampanga Municipal Social Welfare and Development, Municipality of Apalit for cooperation, support and material contribution which has helped enable the DSWD to implement and prosecute its various programs and services designed to alleviate and uplift the conditions and livelihood of the municipality’s depressed sectors and individuals.